The Garmin Astro 900 is a powerhouse handheld tracking device. The 2.6” sunlight viewable display makes it easy to see and track up to 20 dogs at a time when paired with the optional T9 dog collars. 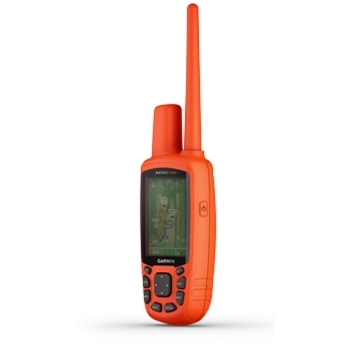 With the vibrant orange housing you never have to worry about losing your handheld while out in the field again. 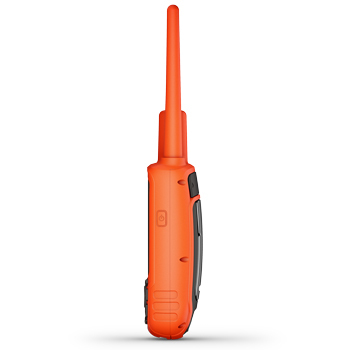 The Astro 900 is built to IPX7 Waterproof standards and is rugged and durable enough to withstand the everyday messy conditions of training and hunting. 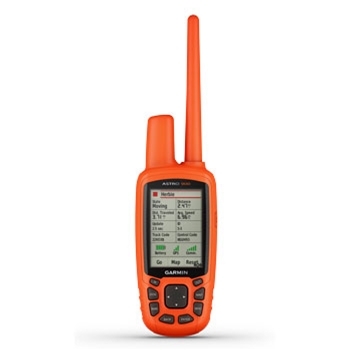 The Astro 900 features a 3 axis electronic compass along with a barometric altimeter. With the optional in-unit rechargeable NiMH battery, you’re able to get up to 20 hours of run time so you’re able to make more of your time in the woods, and less in the truck or at home charging your device. You’re also able to use standard AA batteries. One of the main features of this Astro 900 that you are going to notice, especially if you have run other devices like this one is that you won’t see the interference message near as often because the Astro 900 uses a 500 character sentence for tracking, vs a 100 character sentence like on previous models. What this means in layman’s terms is that when you are in a fox pen, deer club, field trial, etc. and there are lots of other dogs with tracking devices, the Astro 900 is able to pinpoint your dog’s while ruling out the other tracking devices. The Astro 900 accomplishes this by using a 900 Mhz FHSS, which also allows for operation in Canada. With the preloaded 100K topo for the US and Southern Canada, along with a FREE 1 year subscription ($30 after the first year) you’re able to get to your dogs that are tree’ d or bayed much quicker and easier. For a complete hunting setup pair with one or more (up to 20) T9 Collars!